Why would I need self storage in Excelsior, MN? There are a variety of reasons why you might need self-storage in Excelsior, MN. How much is a storage unit in Excelsior, MN? The cheapest storage unit in Excelsior, MN is $27.00 per month. What size storage units do you have available in Excelsior, MN? In Excelsior, MN we have sizes that range from 4'x5' to 12'x30' to suit your storage needs. How much is it for a 4'x5' storage unit in Excelsior, MN? The cheapest 4'x5' storage unit in Excelsior, MN is $27.00 per month. Excelsior is a very small city in Minnesota, covering less than 1 square mile and home to a couple thousand people. Though small, the city has plenty to offer residents. As a resident of Excelsior, you'll enjoy local parks, a community center, historical museums and community events. 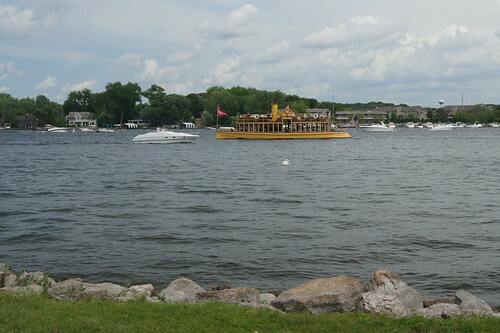 Excelsior is a community that combines both suburban and rural elements, sitting right on Excelsior Bay on Lake Minnetonka. It was one of the first communities on the lake, and residents still make full use of the town docks for sailing, boating and fishing. There's also a commons area along the banks of the lake, perfect for an afternoon stroll or a picnic. The small downtown area has all the services you would expect for a suburban city, including restaurants, hair salons and shopping outlets. There's also a theater and plenty of activities and events, like Apple Day, fairs, festivals and concerts in the park during the spring and summer. Much of the surrounding residential area is made up of tree-lined neighborhoods, some featuring lakeside property with scenic views. Excelsior is also just half an hour from Minneapolis and professional sports, world-class restaurants, museums and cultural events. You can easily take a day trip into the big city before returning home to this quiet, cozy community. Excelsior students attend school in Minnetonka Public School District 276. The district also services communities in the surrounding area, including Deephaven, Eden Prairie and Tonka Bay. Utilities: The primary energy provider in the Excelsior area is Xcel Energy. The city utilities department handles water and sewer services. Garbage and Recycling: Republic Services provides waste disposal services to the homes of Excelsior. Trash is picked up weekly, while recyclables are collected every other week. Transportation: Metro Transit operates a handful of public transit routes in and around Excelsior. The housing market in Excelsior is very active, due to the strong educational system, family-friendly atmosphere and amenities. Properties for sale include town houses, single-family homes, lake houses and condominiums, so there are a variety of options to consider. Home prices in Excelsior are much higher than the national average, which is due in part to the area's many luxury homes on the waterfront. Our lowest priced units in Excelsior, MN average $37.00 per month. 109 people have reserved units in Excelsior, MN in the past 30 days. There are 2 locations within Excelsior, MN's city limits. There are 2 locations in Excelsior, MN that offer AC and Heating features.